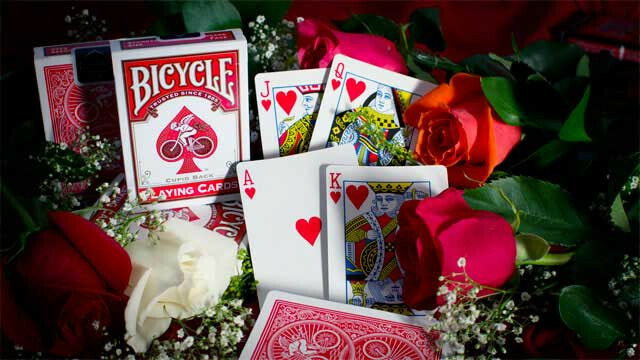 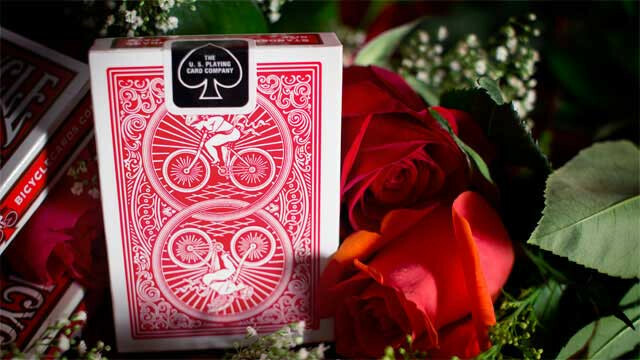 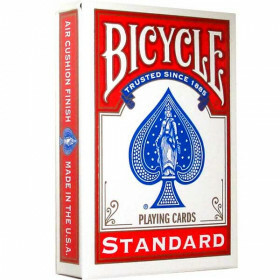 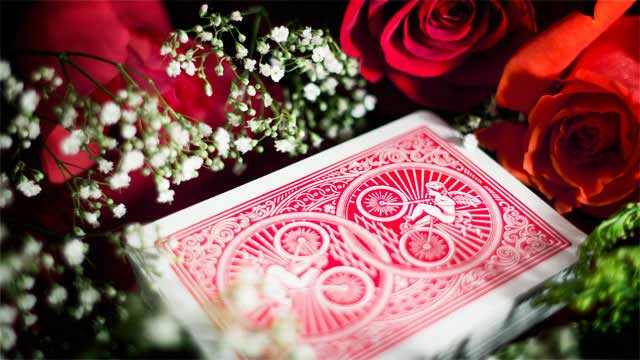 One deck of Bicycle Cupid Back playing cards. 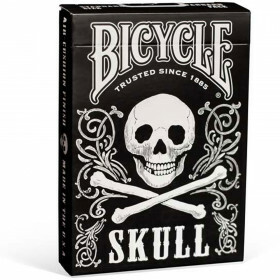 A 120-year old design returns in the 21st century. 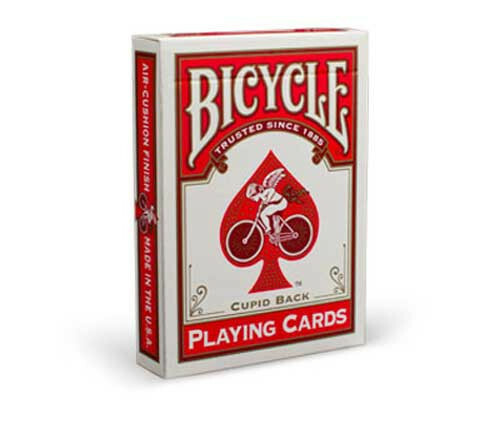 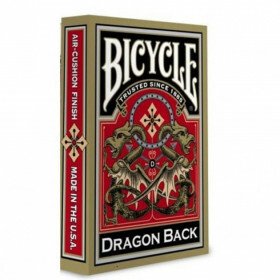 The Cupid Back Deck was originally introduced to the Bicycle® Brand family in 1894, and continued in production until its discontinuation in 1943. 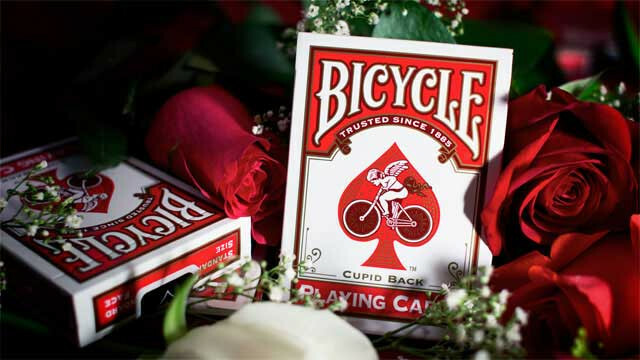 Featuring interlocked wheels with the ever-cycling cherub, this deck makes Cupid the central figure. 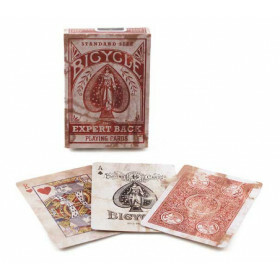 Now this historic deck makes a return so that collectors and fans everywhere can get the chance to own this original design. 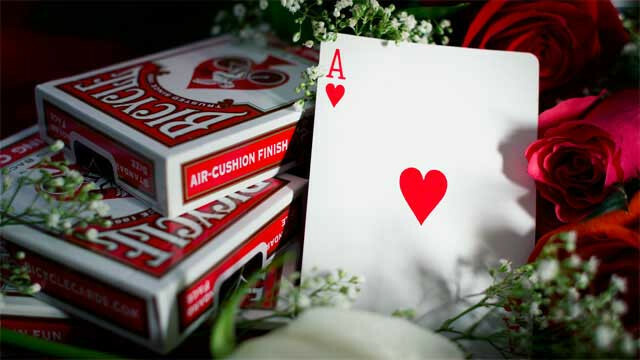 The Cupid Back Deck contains original artwork on the back of each card and the tuck. 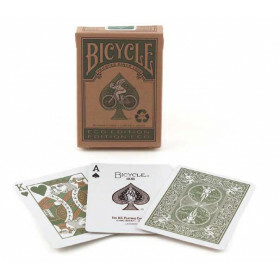 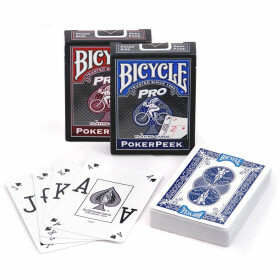 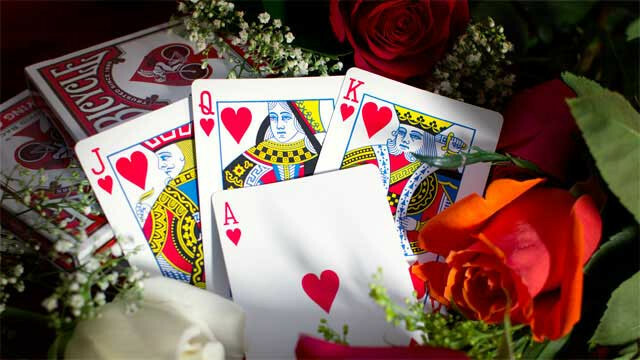 Made in the USA at The United States Playing Card Company on premium stock with a quality finish.